27.8.13 - We went to the this e2e4 tournament with the idea that it will give Pavel a great challenge and the aim of not losing any games and possibly win one or two. Pavel started very well by winning his first game and managing a draw in his second. Then the second day I was thinking if he could do the same that would be great but Pavel played very strongly that day and won both games (vs. 1896 and 1941 FIDE) so well done so far and big expectations for the last day. If Pavel managed a win in his first game of the last day then he would be in a great position of attacking the top spot. He had a very interesting game against Nathaniel Paul (ECF 171) which Pavel managed to swing his way and there he was on the winning straight. The last game was again very interesting but Pavel’s aim was first not to lose it and then if the opponent made any mistakes, try and win it. As it turned out his opponent tried to win it as he was in a position to fight for the first spot too but in the end it was a draw which both players agreed was the correct outcome. 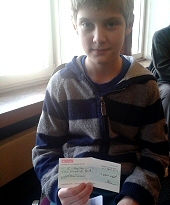 So all in all great performance by Pavel – joint first and sharing a prize of £450 with Ivan David! 25.8.13 - Jake took part in the Gibraltar Junior U12’s Tournament scoring a creditable 3½/6 (+3,=1,-2). He came 17= out of 60 players. The Gibraltar Junior International took place 15-20 August. The venue was the Caleta Hotel and follows the successful pattern of the Tradewise Gibraltar Chess Festival, offering some good and very competitive chess-playing opportunities with an equally strong social, fun and educational programme. 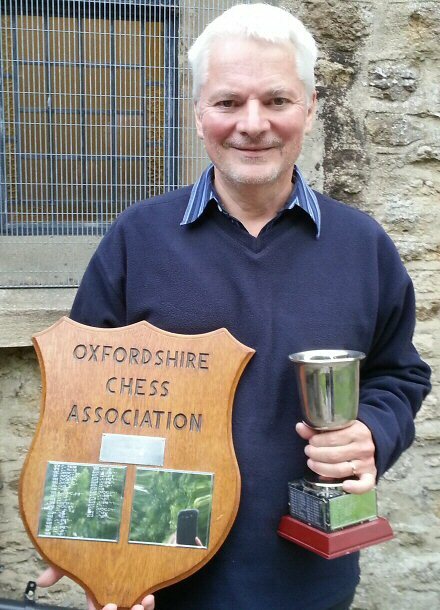 18.8.13 - Many congratulations to Witney Chess Club's Marcus Harvey, this year's Chess Challenge Terafinal winner with 5½/6, including a fine draw with pre-tournament favourite International Master Yang-Fan Zhou (ECF grade 240) - Mike. 08.8.13 - This event takes place Sat 24th - Mon 26th August 2013 at Polehampton C of E Junior School, Kibblewhite Crescent, Twyford, Berkshire, RG10 9AX. A British Championship Qualifying Event. 28.7.13 - I saw this entry from March 1946 from 'CHESS' magazine about the Oxford and District Chess League, whose activities were suspended during the second word war. "In Division 1, Charlbury, Morris Motors, Oxford University "Am," O.U. Polish Students Club, Pressed Steel, Oxford City, Thame and Osberton Radiators are taking part. In Division 2, Headington, Southfield School (the first school team to be a member of the League) and YMCA are competitors, together with the second teams of Oxford University, Oxford City, Pressed Steel, Charlbury and Morris Motors". Other details include that "in the County Correspondence matches, Oxfordshire had fallen from second place to sixth; that Oxfordshire Chess Association had a satisfactory balance in hand, and that the Duke of Marlborough was elected President". No sign of Witney at all in those days. Good to see that Oxford City and University had at least two teams even then - though notably so did tiny Charlbury. Also of interest are the numerous teams drawing from the motor industry - Morris, Pressed Steel, and Osberton Radiators (linked to the British Motor Corporation). 27.7.13 - The new club grades are published. They are based on games played up to 30th June 2013. 25.7.13 - A number of you will already know of Oxfordshire's very own Jon Manley's excellent chess magazine 'Kingpin', back copies of which are traditionally handed out at Witney Chess Club's Peter Wells evenings. Jon has recently set up a new website at www.kingpinchess.net which you may find of interest. And no, I'm not on commission! - Mike. 15.7.13 - It is not enough to get just any old grandmaster to give a simultaneous exhibition. Experience has taught me that engaging the right GM is crucial. One does not require taciturn introverts. What you need is a gregarious soul, willing to engage with players at club level; someone who will talk openly about chess and the broader issues of life. 15.7.13 - Pavel competed in the UKCC Gigafinal, winning prizes. The UK Chess Challenge is largest chess tournament in the world, beginning in 1996. Click the logo for more information. Other successes: Marcus Harvey was first in the U17 group with 5/6, which got him the Ultimo award, and Jake Holton also got 3½/6 in the U12 group to qualify for the Plate competition. And also Freddie Beneat came 1st = with 5/6 in the U7 group, Maxim Dobrynin qualified for the Plate with 4½/6 in the U7 group and Benjamin Headlong came 3rd in the U9 group (behind the brilliantly named Vladimir Kalashnikov) - Mike. In the U15 mixed section, Isabel Hauer finished on 2½ points, which was enough to place her joint 3rd for the girls. Marianne Hauer got 3½ points in the U12 girls competition and qualified for the Plate competition - Catriona. Many thanks to everyone who took part in a very exciting and well-attended event in which a lot of good-quality chess was played. We shut down now for our usual summer break - I will email everyone once the first Monday of the 2013/2014 season has been decided (usually the first Monday in September). In the meantime, enjoy the summer (and the Met Office promise of a heat wave in July, so most likely steady rain and Arctic temperatures), and please diarise 29 September and 19-20 October for the Witney Rapidplay and the First Witney Weekend Congress respectively. 29.6.13 - The 2013 Cowley Summer Blitz was held on Monday 24 June and attracted 60 players, including a strong contingent from Witney. Marcus Harvey was unable to extend his sequence of three successive Cowley Blitz wins (though he still took the junior with 7½/10), and this time the Oxford University player Jan Schmidt (a newcomer to the Cowley Blitz) took first place by a margin of 1½ points with 9½/10; in the last round he beat Rick Weston of Witney who had been clear leader after four rounds with 8/8. Nevertheless Rick's performance in a strong field was an excellent one, and he can be more than satisfied with taking second place. Other Witney prizewinners in the Blitz were Jake Holton, whose score of 5/10 earned him the Best Under-10 prize, and Ian Gilders, who took the Best Slow Starter prize, finishing on 5½/10. Full details of the prizewinners can be viewed here. The County Association's Prizegiving was held between Rounds 1 & 2 of the event, with OCA Chair Simon King making the presentations. Witney 1 captain, Mike Truran, was presented with both the Division One trophy and the Frank Wood Shield, and accepted on Tim Headlong's behalf (Tim unfortunately was unable to attend) the prize for the best performance in Division One. Achieving more than 3½/6 in the Delancey Chess Challenge allowed qualification to the UK Chess Academy Silver Plate. Success in the Silver Plate provides an opportunity to represent England at a World or European Chess competition in 2014. 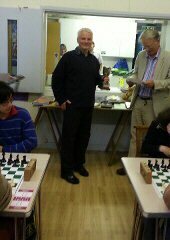 As it turned out it there was an excellent representation from Witney Chess Club. Maxim Dobrynin and Bill Read were playing in the U9 Boys competition. Maxim managed a very creditable 3.5 from 6 with three victories. Bill ended up joint 2nd losing only to the winner. This was a thoroughly excellent performance given a difficult second round. 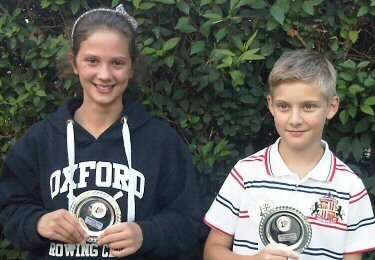 The U13 competition had both boys and girls, with Marianne Hauer and Jake Holton representing Witney. Although Marianne had a couple of losses in the early rounds she rallied confidently and finished with 3/6, taking the U13 Girls Silver Plate, and the princely sum of £25. Jake had a very consistent tournament and finished unbeaten with 5½ out of 6, a tournament performance of 161, and the Silver Plate. This means Marianne and Jake can represent England for the second year in a row! Results. Very well done to all participants, junior chess at Witney looks in good shape. Special thanks to Tim and Alan for showing great endurance on club nights on Mondays. Saturday was a bit windy and cloudy in Loughborough but Marcus started nice and steady winning all his games. Then the next day the weather was looking much better and Marcus was in a winning mood again until he played IM Yang-Fan Zhou. That game finished drawn and it was all left to the remaining games and I think everybody was buzzing as there was great expectation for a playoff between them. That didn't happen as Yang-Fan Zhou drew his last game and Marcus was the outright WINNER! Another little note: Pavel took part in the Terafinal Challengers tournament this year - taking place alongside the Terafinal. Pavel started really well winning his first two games and only losing by playing the wrong move order in the end game against Michael Ashworth, a very strong player. The second day started with a win but Pavel only managed two draws - a little bit unlucky with the pairings because he had to play 4 out of the 6 games with black. Overall I think he did well - 4/6 winning 3, drawing 2, and only losing one. This year's Terafinal was as competitive as it has ever been as there were 5 players graded above 200. Also, there are lots of seriously underrated younger juniors which makes the tournament that bit tougher. I was the 2nd seed in the tournament behind IM Yang-Fan Zhou (240) who has almost 2500 fide! Round 1: I was paired black against a 10 year old called Max Turner (143) who gave a good account of himself but played a bit too passively. Round 2: I played Callum Brewer (162) with the white pieces. He played very valiantly until he got into time trouble - where he blundered by giving me a pawn and consequently the game. Round 3: My first real test was against Akshaya Kalaiyalahan, who is 12 years old but has an ecf of 178! She is one of the best Under 12 girls in the world and she made me work very hard for the victory. After eventually winning a pawn, we reached an ending in which I had a rook, Knight and 4 pawns vs a Rook, Knight and 3 pawns - with all of the pawns being on the kingside. I gradually created more weaknesses until her position collapsed into a losing king and pawn ending. Round 4: With the competition really heating up, I was playing my good friend Jean-Luc Weller graded 202 but he is definitely at least 215 in my eyes. He played a very unusual line in which his Knight on g8 re-rooted to e6 very early in the opening. After some very interesting Knight manouvres we reached a very complex position. Jean-Luc decided to be greedy and grab a pawn but I had so much compensation that I received it back with interest! This led to an ending where I had a pawn advantage but we each had a rook and opposite coloured bishops. He got in serious time trouble and made a few inaccuracies to hand me the points. Round 5: There were only 2 players on maximum points, so it was my time to play IM Yang-Fan Zhou with black. We both seemed happy to enter a double Rook endgame after just 20 moves! I was then forced to lose a pawn but I had 2 advanced pawns on g4 and h4 which made it very risky for both sides. After mistakes from both sides we arrived in a much simpler ending, a Rook and 3 pawns vs a Rook and 2 pawns. My rook was very active and a draw was shortly agreed. Round 6: Going into the final round, me, Yang-Fan and Andy Horton were in the lead with 13 points - but there were lots of players just behind on 12 or 11 points. I was paired against Andy Horton (209) whilst Yang-Fan was playing William Foo (206). Knowing that I had to win, I perhaps played the worst opening choice I have ever played, as I found myself slightly worse approaching the middlegame. However, Andy started a Kingside attack which was too ambitious as it allowed me play on the queenside. Just as the game was swinging in my favour, he blundered a piece and then resigned! As relieved as I was, I was now ready for a play-off with Yang-Fan for the title as he had a very promising endgame position. William played the endgame absolutely perfectly and after 102 moves Yang-Fan finally offered a draw. Much to the audience's disappointment, there was no play-off and I had pocketed the 2,000 pounds! I now am the STRAT of the 2013 UK Delancey Land Chess Challenge! 28.6.13 - In September I will be moving away from Witney for the foreseeable future, starting with an adventure kayaking in the Himalayas! I would like to take this opportunity to thank you all for letting me be a part of such an awesome club over the years. Its a joy to see the club now thriving in the juniors as well as being socially and competitively strong throughout the rest of the club. I remember my first nights in a noisy Langdale Hall as a budding junior aged 14, playing too quickly! Now soon to be 30, I'm proud to turn up to a packed, bustling with enthusiasm Ducklington Hall with numerous teams playing away and I try to remember what Mike Truran wants my opening to look like and will I lose before my Dad does. As a club, you welcome, involve and challenge all, whatever ability, showing you care about the people behind the pieces. I wish you well in defending your season's successes and striving to achieve new triumphs. 05.6.13 - Cowley Chess Club invites you to their 2013 Summer Blitz Tournament, to be held on Monday 24 June at Rose Hill Methodist Church in the Main Hall downstairs. Round 1 will begin at 7.15 pm. All chess players are welcome. During the evening we shall also be hosting the presentation of the 2012/13 season's OCA team trophies and the individual medals for the best league performances. Entry fee: £3.00 to be paid on arrival. We will also be glad to receive additional donations for the Lester Millin Memorial Fund, which supports Cowley junior players. To help us make a prompt start, please register your entry in advance if possible by sending an email to blitz@cheekychess.org.uk. Further details and history about the Cowley Blitz. Round 5: Monday June 10, 7.30pm. 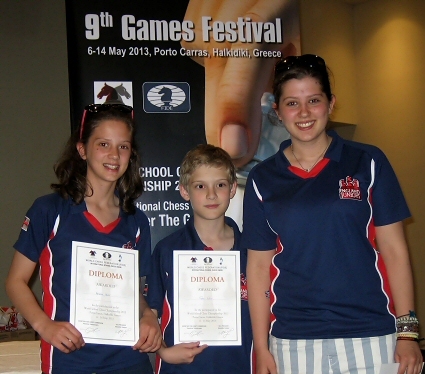 21.5.13 - The World School Chess Championship was held in Porto Carras, Greece from 7th - 14th May. 9 rounds of chess in 8 days - no day off, and a double round day on the Friday! Around 600 players from around the world - but mostly from Eastern Europe, Asia and South America. For those interested further information can be found here. The "Olympic Hall" was quite comfortable but hot in the first few rounds and also had hoards of parents watching from the aisles, chatting and even taking phone calls (despite warnings of "hidden scanners" in the room) - not ideal conditions. It did improve as the event progressed however, and controllers got stricter. It was certaintly a serious event with some opponents hardly even making eye contact, but as the competition progressed the atmosphere relaxed a bit, smiles and occasionally email addresses were exchanged and Marianne even went swimming with one of her opponents. We were encouraged to bring some small gifts to exchange before the matches, however the only gift Jake managed to off-load was to a fellow England player. Perhaps if anyone is short of an Oxford rulers and pencil please drop us a line. We soon found a routine. Mornings included training with expert coaches - Jake had IM Tom Rendle, Izzie had WGM Meri Grigoryan and Marianne had IM Jonathan Hawkins. All of them got on well with their assigned coach, who helped them research their opponent's opening and playing style and prepare their defences, and also provided post-match analysis. Even after some mammoth matches (Jake 4 1/2 hours, Marianne 4 hours) the players put analysis ahead of food - a sign of how much they valued the feedback and support they got. After lunch some R&R and then off to the hall for the 4pm match. Nerves were high until all got off the mark with points, and the last round was probably the worst as all were desperate to top up their totals. In the end Jake finished on 4 points, Izzie and Marianne on 3.5 - beating our expectations and having learned a lot. And how to relax at the end of a long week of chess? More chess of course! A riotous England team blitz tournament with the kids taking on the coaches as well as each other rounded off the experience. Oh, and we all did get a bit of a tan, but honestly, it was mostly hard work and tactical training! John Higgs (England Head of Delegation) did an absolutely great job with the organisation of the England team. ps. We may have missed the Witney Chess Club dinner but we had our own evening's fun as the overseas delegation! 20.5.13 - Here are the latest results. Lots of hard fought and good quality chess in evidence! Well done all. Just a gentle reminder if I may. If you aren't able to play, could you please do your best to try to let me know in good time - Mike. Round 4: Monday June 3 (please note that Monday 27 May is a bank holiday). 16.5.13 - GM Danny King has kindly agreed to give a 20-board simultaneous display, organised by Carl Portman of Banbury Chess Club. It will take place on Sunday 14 July at Hanwell Village Hall, Oxfordshire, starting at 2pm. Light refreshments will be on sale. When at his most active as a player of the game, Danny made solid progress, picking up the International Master title in 1982 and the Grandmaster title in 1989. 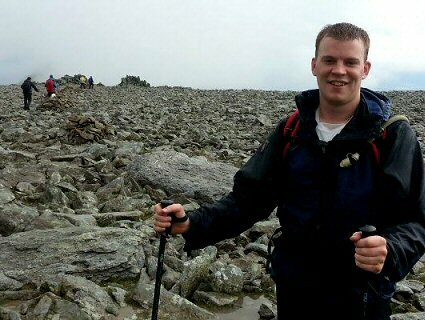 He is a well-respected trainer and a coach to many of the UK's brightest chess prospects. An author of more than 15 chess books, his subject matter has ranged from the preparatory Winning with the Najdorf to the self-tutoring How Good is your Chess and Test Your Chess. 1½.13 - Our well attended, annual chess club dinner was held at Hackett's on Friday 10 May. Many thanks to Asen for providing some nice photos. By the way, I'd like to reassure all club members that it's most unlike me to be caught with a glass of wine in my hand - MT. The photos are also available here in our Gallery. 1½.13 - Twelve Abingdon players travelled to the Licensed Victuallers' School, Ascot to compete in the county stage of the UK Chess Challenge, and seven - an unprecedented number - qualified for the Southern Gigafinal in July. Ray Ren (5½/6) was Abingdon's top performer, winning the U14 category ahead of Jeff Abraham (5/6) and Witney Chess Club's Joseph Truran (4½/6). James Murray came home with the U18 trophy (2½/6). The other qualifiers were Edward Reynolds (4/6) in the U16 category and Richard Oh (4/6) and Seamus Ramsey (4/6) in the U12 category. Also competing were Rafi'i al-Akiti (3½/6), who only just missed out on qualification in the tough U15 category, Alex Churchman-Davies (2/6), Daniel Lawson (3/6), Ben Massey-Leahy (2/6) and Brian Shi (3/6). Pictured: Abingdon's 12 players resting between rounds and sporting their trophies, rosettes and book prizes. 07.5.13 - Witney juniors all did well at the Oxfordshire Megafinal yesterday - full results are on the Oxfordshire Chess Association site here. I'm pretty sure everyone qualified for Gigafinals, though not sure about Joshua as I didn't spot him at the end, but he was doing well mid-afternoon. Saw most of the others being called up as 4+ points. We also got 4 trophies - Marcus (Supremo 6/6 of course! ), Izzie (U15 Suprema - 3½/6), Pav (U12 Supremo 5/6) and Marianne (U12 Suprema 4/6). I'm sure you could get a compiled report from various of the others. For my two the highlights were Izzie beating Maria Wang in round 1 and then drawing with Chantelle Foster in round 2 - so in round 3 she found herself on board one against Marcus (when her good luck obviously ran out!). Marianne had 3 wins, 2 draws and only lost to friend and rival Zoe Varney as the U12 girls were mixed into the U13 mixed section - Catriona. Updates: Just to let you know, Josh didn't qualify for the Gigafinals - he finished with 2/6, losing the last two games which he probably should have won. However he still enjoyed the day - Claire. Pav's section was probably one of the hardest. One can tell by looking at how many came = 2nd. Here he is (left) proudly receiving his prizes ... on his birthday! - Asen. 01.5.13 - The latest results and tables are now online following the completion of round 5. 30.4.13 - Witney Chess Club players did very well at the London Rapidplay held on Saturday 20th April. Maxim Dobrynin won the U8, Sofya Dobrynin the U12 and Pav Asenov (pictured left) the best U1700 prize. Well done to them! 28.4.13 - The annual chess club dinner will as usual be held at Hacketts in Witney on Friday 10 May (7.00ish arrival for 7.30 sit-down). Mr K has volunteered (been volunteered?) to be master of ceremonies as usual. 26.4.13 - A splendid result for our final League match. We had agreed with Cumnor that we would each field 6 juniors and both teams fielded a youngster making their debut in League chess. The first two games to finish were Ben, who won on his debut and Andy who recorded his first league win of the season. 26.4.13 - Matt Rose writes about Witney's league and cup double. 24.4.13 - Just a reminder that the club will be shut as usual on bank holiday Monday 6 May. But of course before that on Monday 29 April it's round 1 of the summer tournament! Please let me know ASAP if you would like to play as the draw will be made shortly - MT. 23.4.13 - I need to do the first round draw for this fairly soon, so if there is anybody who would like to play but hasn't told me yet, could they do so in the next day or so please? We currently have 18 entries, so it looks like it's going to be another well attended event. Thank you all for your support. 21.4.13 - Witney top junior Marcus Harvey had an excellent result, coming =3rd at yesterday's British Blitz Championship. More here including a full table of results. 19.4.13 - At the recent National Chess Junior Squad Championships U10 tourney played alongside the Junior 4NCL at Puma Daventry Court, Benjamin Headlong (pictured left), son of long term Witney and Brown Jack CC stalwarts Tim and Fenella, recovered from a shaky start in round 1 to race to 4/4. His opponent in the last round was the experienced Ollie Howell who had conceded a draw in round 3 which meant that a draw would win first prize for Benjamin. After winning material in the early middlegame Benjamin converted his advantage and managed to score 5/5 - so another success story for a Witney junior! - MT. Witney Chess Club juniors will proudly represent England at the World School Chess Championships in Greece, 6th-15th May. Club regulars Isabel Hauer (U15 Girls), Jake Holton (U13 Open) and Marianne Hauer (U13 Girls) will be joined by Benjamin Headlong (U9 Open) who's Dad, Tim, is a Witney player. 03.4.13 - The latest results and links to games are now online for round 4. 02.4.13 - We've just returned victorious from the Southend-on-sea Congress (Minor). With a score of 5/5 and a performance grade of 152, Jake (pictured left) is naturally very contented, especially with the £200. His last round game was fairly gruelling, lasting 4½ hours! His preparation for playing for England in Greece in May is therefore going well - all done under his own steam. He sees his England coach for the first time on Tuesday, IM Tom Rendle. I thought I'd keep you informed of how he's doing. 27.3.13 - Another narrow win for the 2nd Team keeps us in the hunt for promotion(?!). Howard and Derek played games in which small advantages waxed and waned for both sides, both ending in creditable draws. 21.3.13 - Avid readers of the intrepid Witney 1 correspondents' reports from far-flung climes (oh all right then, Banbury and Didcot) will know that in our last missive we exuberantly claimed the Division 1 title. As it turns out, the reversal of one of City 1's two match point defaults (for reasons unknown, but I suspect an Oxfordshire Chess Association website software error) cast us all into a slough of despond for a couple of weeks as we realised we not only had to not lose to Cowley 2 but also avoid losing to City 1 by 5½-½ in the final match of the season. 21.3.13 - Another fine win reversing the result of our away match with Cowley 4. First to finish was Seb who was still recovering from jet lag. Bob finished next and recorded a good win where his attack was more successful than his opponent’s. Jake then accepted a draw in a very even position so the match was still evenly poised. 21.3.13 - Finally I get round to writing up one of our matches. After a blazing start to 2013 which has seen Witney 3 first avoid the relegation battle and then guarantee 4th place with a win over Oxford Uni and a hard earned draw against Didcot 2 we went away to Bicester to continue pressuring the top three teams. 14.3.13 - Witney Chess Club engaged Grandmaster Peter Wells and held another session at Ducklington Village Hall on 11 March 2013 at 7.30 pm. This was the second of Peter's lectures this season, the first being on 12 November. See more about these evenings. 10.3.13 - Unconfirmed reports are coming in from the sleepy hamlet of Ducklington, home to the leviathans of Oxfordshire Chess, Witney Chess Club. They suggest some strange goings-on are afoot. The reason: the imminent clash in the Frank Wood Shield Oxfordshire Cup Final of the club’s top teams, known intriguingly as Witney 1 and Witney 2. 06.3.13 - Pressed into being captain for the night, the burden was given extra significance with the knowledge in the morning that University 1 had defaulted against Cowley 2 which meant a win in the evening would secure the title. Mr T wanted me not to tell the players before the match so I was the only one in the venue who knew what was at stake. 05.3.13 - A fine result against the Division 2 leaders which showed the strength of the middle boards of the team. Bob and Alan contrived to lose first, Bob allowing the advance of both his opponents’ knights deep into his half of the board after not playing a simple pawn move preventing the encroachment; while Alan played a move he had already rejected in his mind and lost a piece. 04.3.13 - An exciting match which went right to the wire. The first to finish was Andy who had a strong position but then blundered and lost. Next to finish was Jake who polished off his opponent in dominant fashion. Matt was heavily out-graded and duly lost. 02.3.13 - So the Frank Wood Shield final will be contested by two Witney teams - huzzah! But in truth Witney 1's task in the semi-final against City 1 was much easier than Witney 2's against Wantage 1 as our opponents defaulted not just one but two boards against us, so the match was pretty much over before it started as we also outgraded them heavily on the remaining four boards. 28.2.13 - The Witney team comprising: Joseph Truran, Jake Holton, Isabel Hauer, Marianne Hauer from Witney CC and Jonathan Fowler, another strong Oxfordshire junior, competed at the J4NCL. It was held at the Daventry Court Hotel, alongside the senior 4NCL event. Competition was very strong in this premier junior event. There were some superb games and individual performances, notably from Joseph on day one and Jonathan on both Saturday and Sunday. Frustratingly, we lost four of our five matches narrowly 1½-2½. However, the team (pictured left) of Jake, Jonathan, Marianne and Isabel rallied in the first match on Sunday, thrashing Yateley Manor 4-0! We were a little sore from too many losses, however very well done to the team for sticking at it and remaining in good spirits. Many thanks to Andrew Martin and David Levens for excellent coaching and Alex Holowczak for excellent organisation. 28.2.13 - Another close victory, but like Bradford City, we made it to the final! Wantage came without Andrew Walden on board 1, which gave us an immediate lift. The atmosphere was tense and Derek was first to finish, earning a good draw after some chances for both in the middle stages. 28.2.13 - A very good win for the 2nd Team after a tense battle, which resolved itself only at the end of the night, with the last 3 games all being won for us. Howard blundered early and he took a while to calm after his game, which he was expected to win. 16.2.13 - The Chess Club travelled to St Joseph's Catholic College, Swindon to play in the Wiltshire Junior Open Chess Championships. Abingdon's players were 10 of the 28 entered for the Intermediate Section, which is for competitors with a rapidplay grade of under 120. After six gruelling rounds, with a time control of 30 minutes, 7 of the top 10 places went to Abingdon. Jeff Abraham and Joseph Truran were joint winners on 5½/6 - which included a draw between the two of them - Rafi'i al-Akiti, Daniel Savage and Leon Wu were joint 4th on 4/6, and Seamus Ramsey and Ray Ren were joint 9th on 3½/6. Others who gained valuable tournament experience were Ben Massey-Leahy (3/6), Richard Oh (2½/6) and Praymore Shaba (2/6). Pictured are Abingdon's joint winners Jeff Abraham and Joseph Truran. 16.2.13 - This was a somewhat weakened team fielding four youngsters due to people being away for half term. Well outgraded on the first four boards, we fought bravely against the League leaders, but were outgunned. However Marianne did well to win and Isabel to draw to make the score look more respectable. 12.2.13 - Our first league whitewash for many a long year! And a generally bad evening for Cowley CC, with Cowley 2 also losing 1½-4½ against City 1. Cowley 1 were missing their top board, new recruit Endre Ambrus (who has yet to drop a half point for them and has an impressive FIDE 2324 rating - well, impressive compared with mine), so all their players having to move up a board seemed to have a big effect. 12.2.13 - Abingdon A, having been knocked out 2-4 in their zone semi-final by a very strong side from King Edward Five Ways, entered the "Last Chance Saloon," which was this year held in the magnificent School Hall of Eton College. Abingdon's reconfigured side lost in the first round to the eventual winners, Eton A, but suffered no further defeats in this five-round Swiss tournament. Led by Joseph Truran on Board 1, Abingdon successively defeated Meden, Wilson's D and Langley Grammar School, before drawing in the final round with Dr Challoner's to finish equal third, alongside Hampton B and ahead of Wellington College. Abingdon's young side thus secured a coveted place in the national Plate competition. Congratulations to Joseph Truran (2/5), Jeff Abraham (2½/5), Rafi'i al-Akiti (2½/4), Ray Ren (3/4), Richard Oh (2/4), Seamus Ramsey (2/4) and Daniel Lawson (2/4). Pictured are the fourth and fifth round matches vs. Langley GS and Dr Challoner's [larger images]. 12.2.13 - A re-arranged game which proved to be extremely exciting. As they had asked for the change they agreed to come to Witney even though it was scheduled at MCS. The first player to finish was Matt, who after a fairly even game, managed to checkmate his opponent with two Knights, a Bishop, Queen and rook surrounding the king which was also blocked by his own pieces too. 07.2.13 - I had a very rough 4-5 weeks over Xmas and New Year with the novovirus which was exceptionally nasty, even by winter flu standards! Thankfully I made a full recovery and am back to my grumpy best. My captaincy of Broadland Chess Club 1st team is on the up - it saw us dicing with relegation fears recently but these were blown away with some good wins - we go on individual game points rather than match points. Beating the bottom side 3½-½ on Monday helped and we are now comfortably mid-table with an outside chance of a top 3 finish - or even better! A tiff sparked off in our chess club, which I have only just recently smoothed over. My grade went up a massive 1 point in the recent ECF reshuffle to 163. So, a ridiculously high number of draws (16/24) most of which I was better in. I changed my style to solid, but this saw me win only 1 game in 2 months! You may be relieved to hear that the aggressive Toll is back and winning games in the old cavalier style! I will be competing in the 100th British Champs in Torquay in August - any Witney players entering? Give my regards to all Witney friends! 07.2.13 - The list of prizewinners and the crosstables of the four sections are now up on the Kidlington website. Click the 'Kidlington 2013' tab on the home page. A tournament report is due to be published soon. 05.2.13 - Witney 2 escaped with the narrowest margin of victory against bottom team Cowley Workers and move into 3rd place. In the uncomfortable games room of the club, and the noise of the bar above, Richard decided blitz chess was the way forward and took the win in short time before I had even looked around. He continues a good run of form. 03.2.13 - Clash of the Titans! However, for what was potentially the title decider University 1 handicapped themselves from the off by defaulting a board. I commented in an earlier email to the Witney 1 players that the University 1 team tends, like fine wines, not to travel well. Unlike fine wines, however, on this occasion they also found themselves a bottle short of a half-case. 03.2.13 - It was agreed that we would each field six youngsters for this match which gave each side a chance to give a youngster their first league game. Jenni was the first to finish with a fine win but then Bill, our first timer lost on board 6. 29.1.2013 - The new grades for our club members are here. This is the new 2013 list, based on results up to the end of 31st December 2012 - MT. We already have well over 100 entrants, but there is still time to enter the 36th annual Kidlington Chess Tournament, which is being held next weekend, Saturday and Sunday 2 & 3 February, at our usual venue, Exeter Hall, Kidlington. There are four sections: Under-225, Under-180, Under-145, and Under-120, with a total prize fund of nearly £2000. Each section has five rounds. The tournament is an ECF Grand Prix event, as well as a British Championship Qualifying Tournament, since the winner of the U225 section (or, if he/she is already qualified, the next-highest-placed eligible player) will qualify for a place in the 2013 British Championship to be held at the Riviera Centre, Torquay, from 29 July to 10 August. 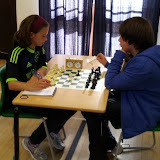 For full details, and to download an entry form, see our new website (www.kidlingtonchess.org.uk). 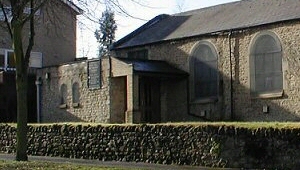 Details can also be found on the OCA website and the Cowley website. NB. If, by the time you see this notice or decide to enter, you think that a posted entry form might well not reach me by Friday, don't worry. You can send me by email a scan of your entry form or put all the necessary details requested on the form into an email (if that's not possible, you can even give me details over the phone) and then bring along your entry fee on the Saturday morning to give to us before the tournament starts. In that case, we ask you to come along as early as reasonably possible, preferably no later than 9 o'clock, and in any case well before play starts at 9.30am. Even if you don't make up your mind to enter until early on the Saturday morning itself, be reassured that we will not turn entrants away unless the numbers already exceed our capacity, but in that case it's even more important that you try to come along by 9 o'clock to give us your details and pay your entry fee. 17.1.13 - This was an absurdly flattering result which did no justice at all to a battling City 2 team which looked for most of the evening as if it might win the match, let alone score the 2½ points it needed to progress to the next round. 14.1.13 - A good win against a fairly evenly matched side. They had to default on board one as the rest of the match was underway by the time we knew they were a player short. The first to finish was John who was a bishop up and then caught his opponent in a mate which he never saw coming. 14.1.13 - Definitely as unexpected a result as it was bad. Witney 2 continue their inconsistent season. Howard left in disgust after his early loss to Gareth, but we recovered with a reversal of fortunes as Patrick won. Richard’s game was unpredictable but he regrouped after one attack came to nothing and crushed his opponent in the end. 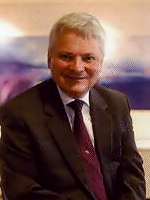 31.12.12 - Mike Truran, treasurer of Witney Chess Cub and first team organiser was awarded an OBE in the New Years Honours list for services to Bioscience. 21.12.12 - Just to let you know that the club will (not entirely unexpectedly) be closed on Monday 24 December and Monday 31 December. All the very best for the festive season! - Mike. 20.12.12 - Matt Rose (Oxford City), chess editor of the Oxford Times is happy to receive any interesting games for possible publication. For example any games played recently by an Oxfordshire player or in the Oxfordshire Leagues. Here's a hard fought draw sent in by Mike Truran. Email yours direct to . 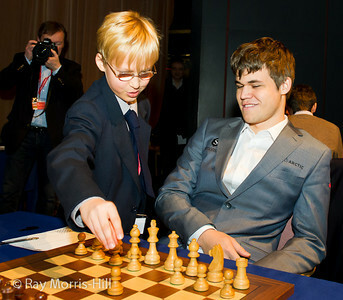 13.12.12 - The 4th London Chess Classic took place recently at Olympia 1st-10th December. Pictured right is Seb Watkins who proudly and bravely stepped onto the stage at the start of round 9 to make the first move for World Number 1, highest rated player in chess history and tournament winner, Magnus Carlsen. Also present at the Classic was Pav Assenov who kindly sent us some of his pictures. 13.12.12 - In the end a comprehensive enough win, but as so often the ravages of the Oxfordshire Leagues' unforgiving time control had a part to play. The sooner incremental time controls are introduced the better! 13.12.12 - A great result against Wantage 1 in our last match before Christmas, though it was a narrow nail-biting victory. Howard won very quickly in 15 moves with a crushing Kingside attack which his opponent could not defend. 13.12.12 - Well done everybody, a great result in the FWS, especially after losing to them last week. The night began when Alan’s opponent overstretched and found his Queen trapped and resigned after 19 moves. 12 November 2012 and 11 March 2013; start time 7.30 pm on both occasions. See more and how to book your place. 28.11.12 - Carl Portman played chess for 24 hours at the Castle Quay Shopping Centre in Banbury on the weekend of 24/25 November 2012 to raise money for the Cardiac Physiology Fund at the Oxford Radcliffe Hospitals. A patient of the Implanted Cardioverter Device (ICD) clinic Carl wanted to raise funds for future patients and using chess as the vehicle and with generous support from the Management at Castle Quay Shopping Centre, the chessathon took place. 24-hour Chessathon pictorial report by Carl Portman (6-pages 1.03Mb). 28.11.12 - As agreed with Cowley 4 we each fielded 4 youngsters in our side which meant that with 4 youngsters playing for the 3rd Team we fielded 8 youngsters in our 4 teams on Monday night. First to finish was Andy, who had a rook advantage but was caught out by a Queen mate. 27.11.12 - This was a match we had to win 4½-1½ under the Frank Wood Shield's handicapping rules (Banbury 2 being in Division 3), but the team came though in fine style and were never in much trouble ... read more. Witney Chess Club - Congratulations! 23.11.12 - From a former member of Witney CC. It’s been a few years since I was last in touch with anyone from Witney Chess Club but hopefully I’m still remembered. I think the last time I caught up with a few of you was at Hackett’s Bistro & Coffee Bar for some impromptu games. I noticed recently that Witney had won the ECF club of the year. A fantastic achievement and congratulations to all those who made this happen. It prompted me to have a look at the website and it seems as though the club has gone from strength to strength which is great to see. I can imagine the sessions with Peter Wells provide a huge degree of interest. Please pass on my regards to the old team (Alec, Derek, Dave, Howard et al) and feel free to let them know my new email address . I have recently become a father of identical twin boys which is taking up the majority of my time! In terms of chess, I haven’t been active over the board although I play a little rapidplay on the internet (ICC) and was about 2150 strength last time I looked. Randomly enough, last time I played over the board was a simultaneous exhibition of about 20 people at the Science Museum to promote their ‘late night’ sessions earlier this year. I managed to hold Raymond Keene to a draw so felt like a decent enough place to stop in the short term! Hope all is well with you and things continue in such a positive way. 22.11.12 - An excellent result against Didcot 1 on Wednesday evening. As I wasn't present (Alan ably taking over as captain in my absence), I can't report on proceedings in any detail other than to say that ... read more. 22.11.12 -A fine result for an away match. 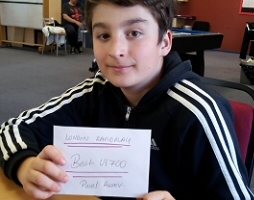 The first to finish was Seb, playing his first league game, who gradually outplayed his opponent and won comprehensively. Jake, who had also established a piece advantage, was the next to finish. Keith, who had come into the side at short notice, finished off his opponent, so we now led 3-0. 15.11.12 - It is a cold dark Monday evening. The choices are as follows. Stay in and watch mind-numbing television, catch up on the business accounts or go and play a Grandmaster at chess in Witney. Okay, for me that is an hour’s drive away (two if you count coming home!) but it is still a no brainer ... read more. 09.11.12 - Witney3 continued their good start to the season with a comprehensive victory over a poor University Side. The night started well when Bob secured a good opening and then quickly overrunning his opponent who promptly resigned. 08.11.12 - So a return to winning ways after a couple of serious wobbles over the last couple of matches, but the result was much closer than the score suggests. After an hour or so Peter had a big edge, but Alan had got himself into a terrible tangle and looked completely lost, none of Dave, Tim and Howard with the white pieces had ... read more. 08.11.2012 - Outgraded on 4 of the boards, we anticipated a hard game and so it proved. The first game to finish was on board 6 where Jake had the initiative but then blundered and lost ... more. 03.11.2012 - Humph. I could dwell on Witney 1's worst defeat that I can remember, but going to bed instead sounds like a much better idea - MT. 31.10.2012 - The first to finish was Mark with a steady if unspectacular draw, Pavel played a very adventurous opening which surprised his opponent and saw Pavel sacrifice his queen and immediately queen a pawn ... more. 30.10.2012 - Our first defeat of the season, with one solitary win and two draws, it was a bad night. Patrick earned a hard-fought draw but Richard lost a very double-edged affair with opposite side pawn thrusts ... more. 24.10.2012 - Out-graded on every board, we realised we had quite a challenge, especially as we were fielding three youngsters as part of our club policy of encouraging juniors. First to finish was Jenni who managed to mate her opponent although well down in material, an unexpected win ... read more - Tim. 24.10.2012 - Oops. And just when it was going so well. Our long run of match wins stretching back more than a season came to a shuddering halt at the hands of a Cowley 1 team that took its chances, handled the clock better and was not particularly favoured by luck ... read more - MT. 18.10.2012 - With many thanks to Sean Terry of Oxford City, here are the games from the recent Witney 1 v City 1 match - MT. 16.10.2012 - So the season is underway with a solid result against a strong City 1 team missing only their top board Matt Rose and fielding new recruit Leif Dixon from Cambridge. We didn't look in much trouble on any of the boards, finally running out 5-1 winners ... read more - MT. 12.10.2012 - Here's another nice report about Witney CC from the Oxford Times - MT. 09.10.2012 - Well done troops! This continues the good start we all wanted. The score of 5-1 sounds easy but every board was a hard struggle. Once again, Richard delivered the first point and, with the black pieces in an unusual opening, he finished early. Derek, in an English, played positionally and slowly crushed his opponent, whereas Howard in a Modern defence ... read more. 05.10.2012 - Well done everyone, the start we hoped for and a good game point difference could be significant later in the season. Richard finished first, easily winning even after castling on move 8! Then Patrick converted his extra piece to a good win ... read more. 02.10.2012 - Here are some photos from our Rapidplay on 29 Sept. 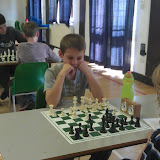 There were two events running alongside each other, a Witney Junior Rapidplay and a Witney Rapidplay. Many thanks to Asen Asenov and David Lee for their photographic endeavours, to the control team (Alan Kennedy, Jon D'Souza-Eva and Alex Holowczak) for managing proceedings and of course to all the participants - MT. See more Witney CC photos here. 20.09.2012 - No, not ours! Both Banbury and Wantage are moving to new premises for the 2012/2013 season. If you're travelling to away matches, please don't forget to get the new location and directions. You can find the information you need on the Oxfordshire Chess Association website in the Clubs (Open) section - MT. 20.09.2012 - Following the club AGM a couple of weeks ago, I thought I should circulate something about subscriptions and English Chess Federation membership requirements in advance of the new season - MT. Please see this page for details. 20.09.2012 - Here's a nice report from Rick Weston on the recently held Leamington Rapidplay, in which Rick distinguished himself by coming second in a strong Intermediate Section. A diligent search of the internet reveals that a lamington is a dessert of Australian origin. Why a Kiwi would own up to knowing anything about Oz escapes me somewhat, but there you go - MT. 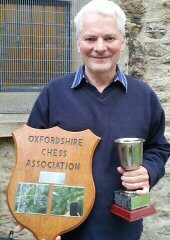 17.09.2012 - Witney's winning of the English Chess Federation's prestigious Club of the Year award was covered recently by both the Oxford Mail and the Witney Gazette. There are a couple of errors in the reporting, but overall it's excellent PR for England's top club! - MT. 04.09.2012 - I thought you would like to know that Witney Chess Club has just had the honour of receiving the English Chess Federation's Club of the Year award for 2012. This follows on from the English Chess Federation's Website of the Year award which we received in 2011. I attach the presentation we submitted to the ECF in support of our application. We are hoping to have a director of the English Chess Federation attend the Witney Rapidplay tournament on 29 September (which by the way we very much hope you will be able to play in) to present the award. Many thanks to all our players and organisers for their support in achieving this - Mike Truran. 04.09.2012 - In this year’s UK Chess Challenge Jake, Izzie and Marianne all qualified for the Gigafinal in Reading. This year’s competition was as tough as usual. Marianne started with a win which meant she met Akshaya Kalaiyalahan in the 2nd round – last year’s winner with a perfect 6/6 and a grade of 141. After a long battle she came out – delighted – with a draw! Read the detailed report in full. 02.09.2012 - Just a reminder that our first Chess Club evening after the break is Monday 3 September at 7.30 pm. On the following Monday (10 September) we will have our AGM at 8.30 pm. See you on Monday - Tim. 24.07.2012 - The new grades for our club members are here. This is the new 2012 list, based on results up to the end of June 2012 - MT. 23.07.2012 - There is a Fun Chess Tournament on Saturday 28 July on St Mary's Church Green as part of the Witney Community Games 2012. Please arrive at 9.30 am for a 10.00 am start to finish by 4 pm. Children must be accompanied by an adult. Download a 2-page leaflet with full details. ½ point byes: Alan Kennedy, Ed Read, Bill Read, Helen Meyrick, Duncan Enright, Andrew M.
So congratulations to Derek, who strolled to victory with a perfect 6 out of 6. Well done also to Richard, who finished in clear second place, losing only to Derek in what proved to be the tournament decider. 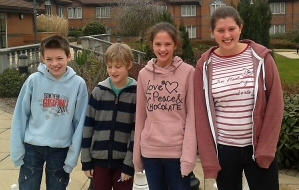 It was great to see our juniors performing so well, with Isabel finishing in joint third place after a fine last round win against Bob, Marianne and Joseph also scoring more than 50% with 3½/6 in joint fifth place and Jake defeating Tim in fine style in the last round. All our juniors have gone from strength to strength this season, and the signs for next season are very promising. That's it now for the summer. We open up again on Monday 3 September for what will hopefully be just as successful a season as the one just gone. As they say, have a good one! - MT.